See yourself Start Over with our clinically proven age-prevention eye cream. 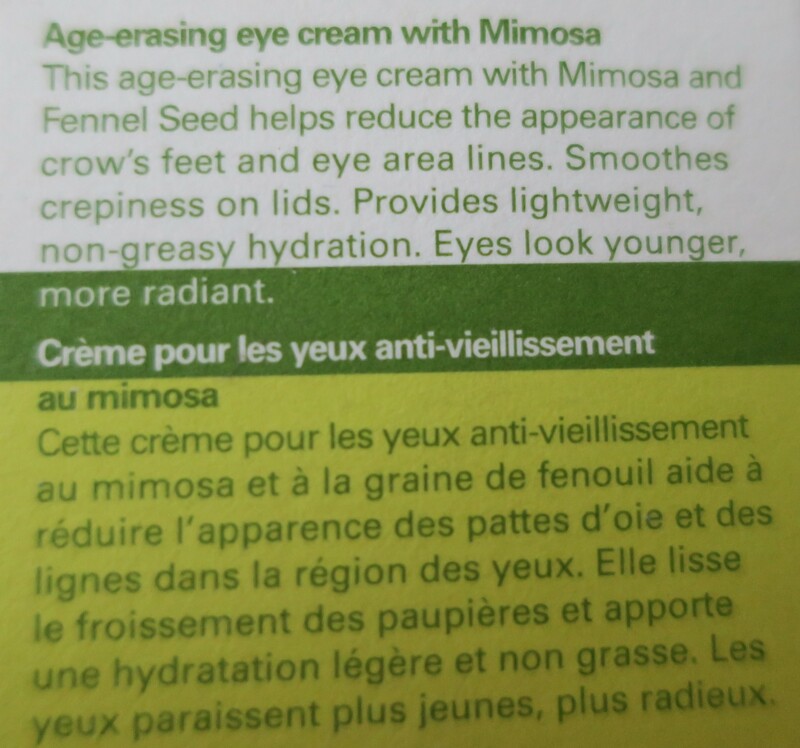 Advanced Mimosa and Fennel Seed formula helps reduce the appearance of eye area wrinkles as it smoothes crepiness on eyelids. Makeup stays fresher, you look instantly more rested and youthful. 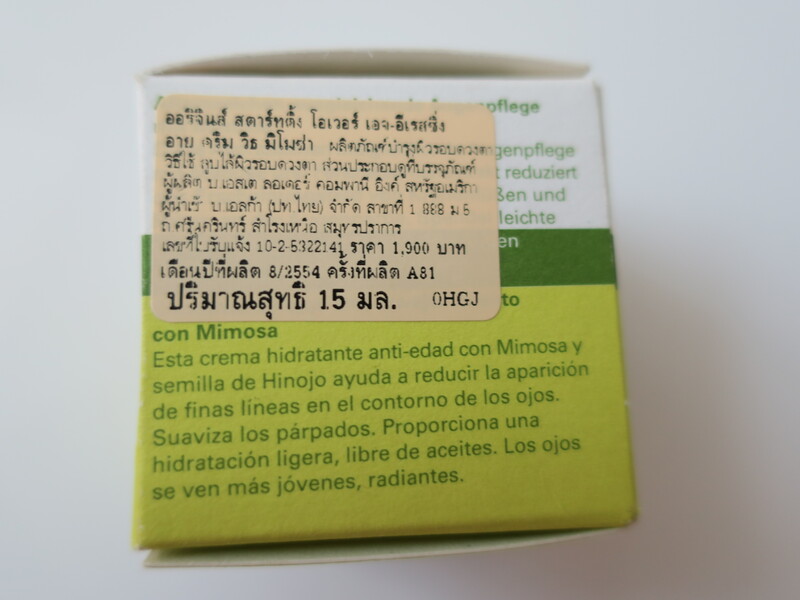 I purchased the Origins Starting Over Eye Cream awhile ago in Thailand. 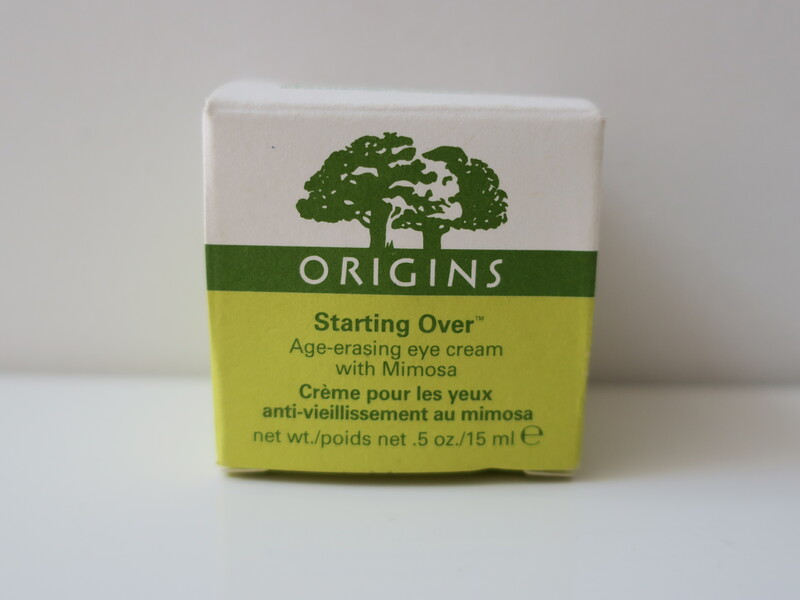 Originally, I had wanted the Origins Eye Doctor Eye Cream but it was out of stock, which is why I settled for the Starting Over Eye Cream. In hindsight, I probably should’ve gone with the GinZing Eye Cream. The bark of this evergreen tree has been used for hundreds of years as a wound healer and traditional remedy for treating skin problems like infections and burns. It’s been discovered that Mimosa actually stimulates collagen synthesis and slows down collagen degradation to help keep skin looking young. 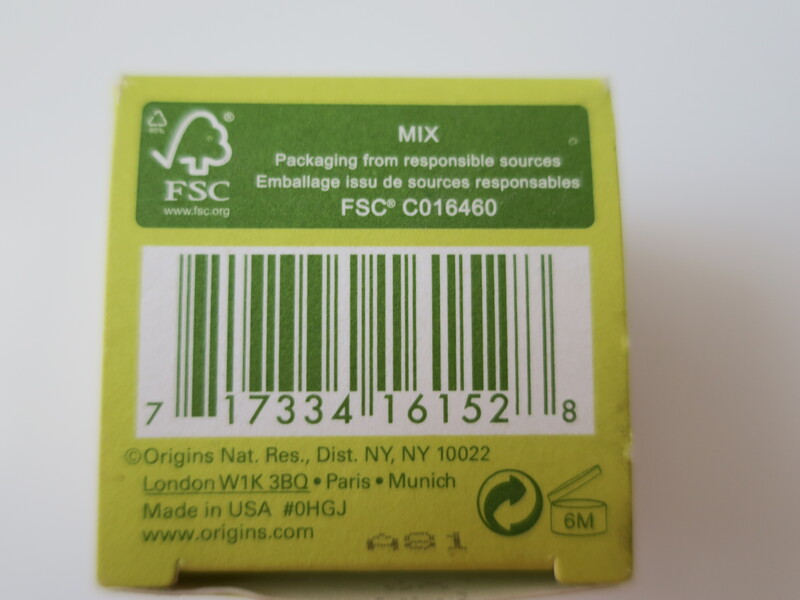 Yet also expires in 6 months, just like all Eye Creams. Comes in cute packaging; glass jar with sufficient weight to it. That’s not to say it’s heavy or anything. It just doesn’t feel cheap. Apologies for its sorry state (which is why I prefer taking photos before, as well as after) but I’ve had this for awhile now and these things happen. 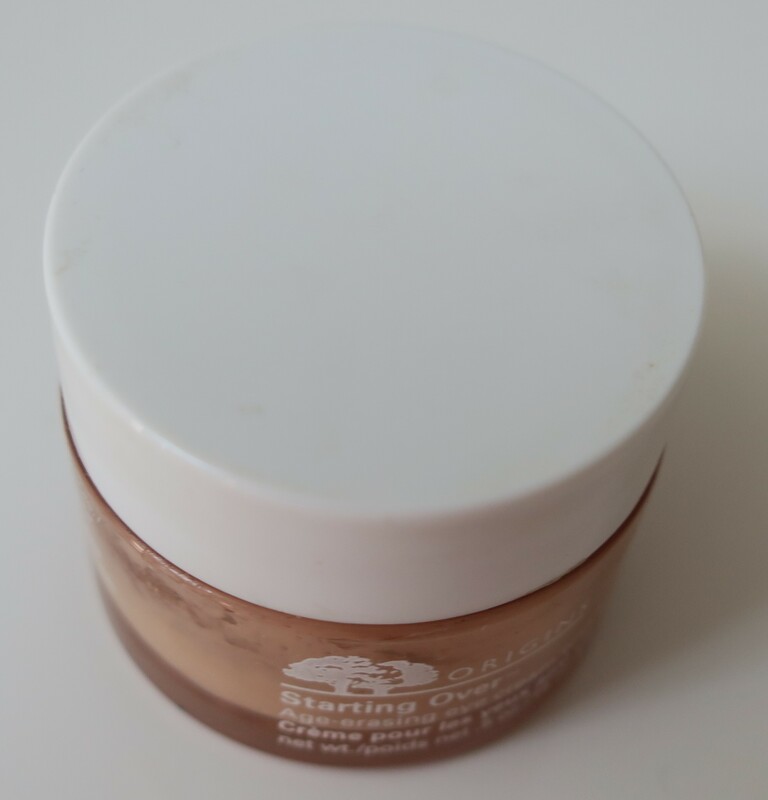 I used this for two weeks straight and didn’t notice much of a difference so I lost interest and only applied it every other day (read: when I remembered… and didn’t feel lazy about applying it). It had a pleasant scent but a not so pleasant texture. I don’t know… something about it bothered me. I still used it though and tried to notice any difference at all. It seems like this is a temporary topical fix. It will make the area look (and sometimes feel) better but the effects don’t last long. It’s kinda’ like applying caffeine-based products to cellulite. It might smooth out the skin for a short while but the skin will revert back to its original state shortly after. Then again, I didn’t use this daily… so there’s that. Also, it’s worth mentioning that this did not sting my eyes. It felt heavy and greasy but that could very possibly be because I’m not used to applying Eye Cream (in general). 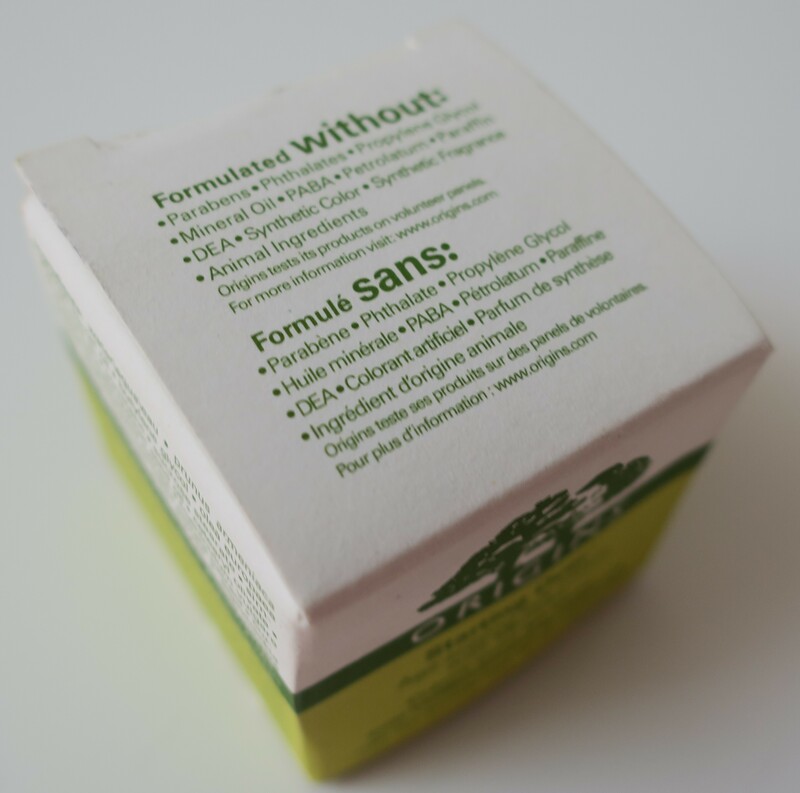 I will not be repurchasing Starting Over Eye Cream but I’m definitely interested in trying out all the other Eye Creams from Origins. This was my first Origins product but I’ve been obsessed with the brand ever since! In fact, I wholeheartedly love their mascara, Origins GinZing brightening mascara to lengthen & lift which I’ve reviewed earlier (here), and can honestly say it’s one of my all-time favorites! Since Origins isn’t readily available in Kuwait, I resort to purchasing through their website (here). 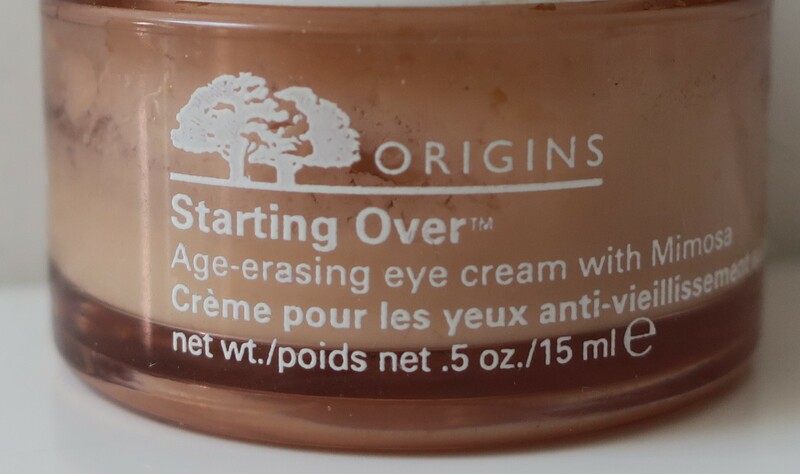 The Origins Starting Over Age-Erasing Eye Cream with Mimosa (15ml/0.5oz) retails for $42 on Origins.com (U.S.) and they’ve even got an Origins Starting Over Age-Erasing Moisturizer with Mimosa (50ml/1.7oz) for $52 in case anyone is interested. 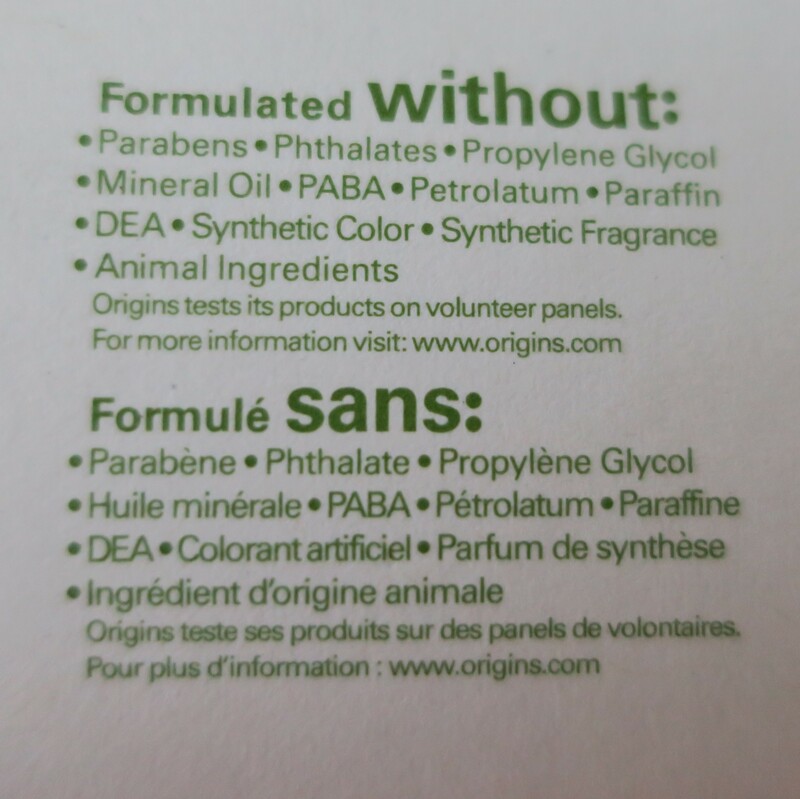 Some of their products are hits (as evident by my love for their GinZing Mascara) and some are misses (as evident by this post) but I just love the brand so much and actually enjoy experimenting with their skincare products so I don’t mind when I come across a less than stellar product from Origins (which isn’t that often).